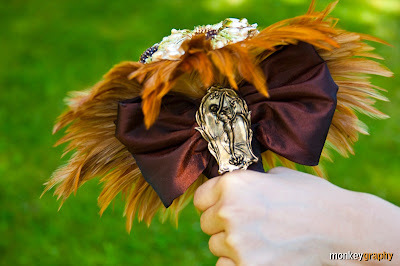 hairbowswonderworld: TREASURE is back on sale! yay! I am so glad now I can offer this bouquet again in my Etsy shop. 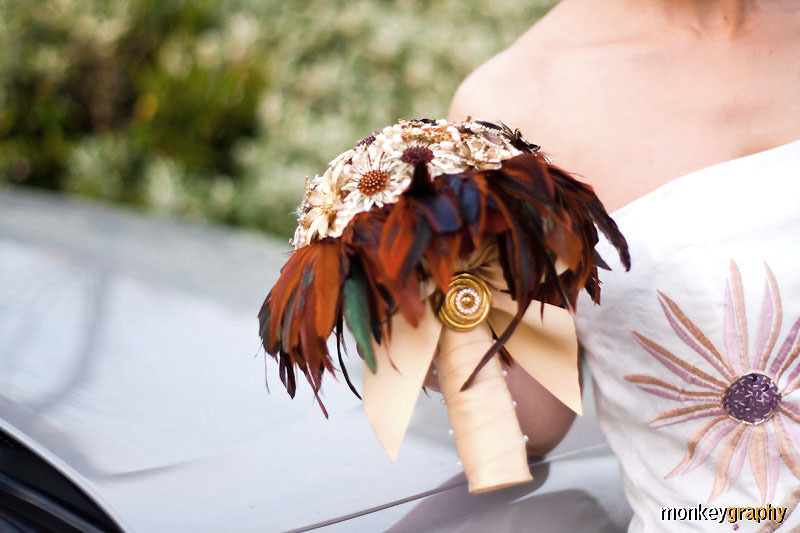 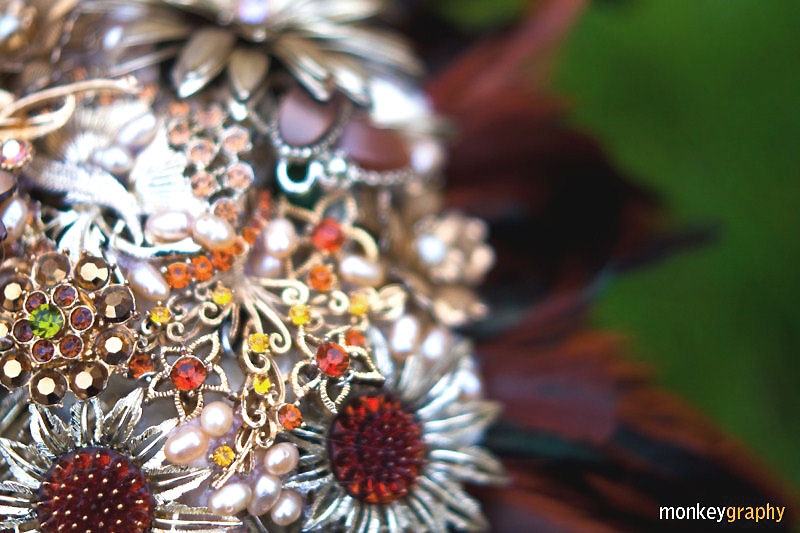 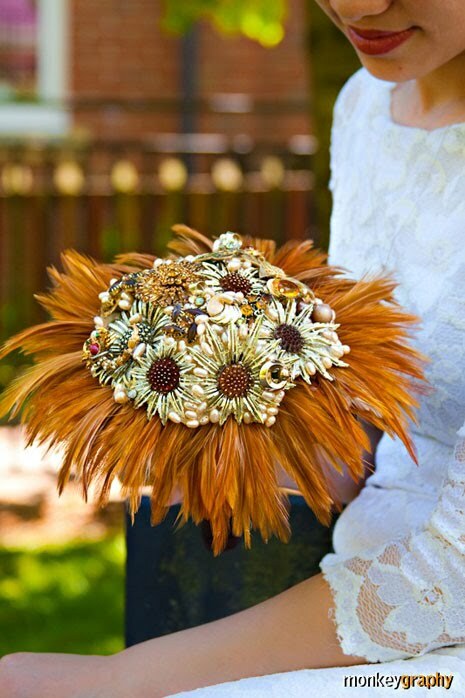 Of course it'll not be exactly the same - all brooch bouquets are One of A Kind. 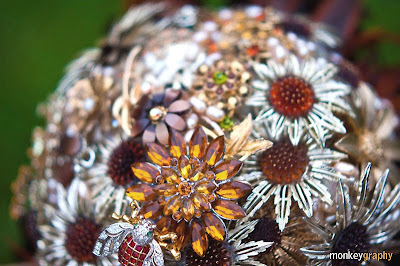 But finally I've found enough Sarah Coventry 'Sunflower' brooches and earrings ( which are the spirit of this bouquet!) 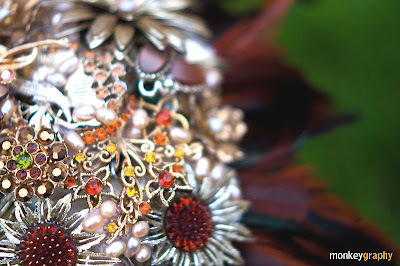 and vintage amber rhinestone jewels for another similar bouquet. 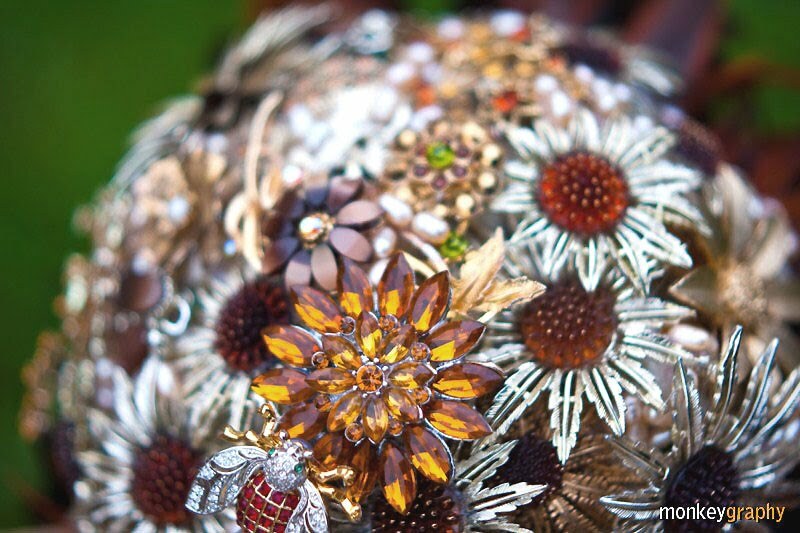 I think this last for a life time bouquet will be cool for a Fall Wedding - what a real treasure which you can display in your house after the wedding and pass on to the next generation.